The following pages contain links to organizations that either partner with or support Camp Abilities Saratoga or are resources of interest to campers and supporters. Program Partners contains links to the organizations actively involved with the operation of the camp. Program Supporters provides links to organizations which have provided support to the camp either financially or in-kind. Lions Clubs provides links to Lions Clubs and Lions related organizations. 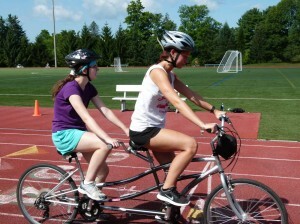 The World of Camp Abilities provides links to the other Camp Abilities camps operating throughout the world. Vision Resources contains a wide variety of links to low vision related resources. Saratoga Resources is a collection of links related to the Saratoga Springs community.